Canopus and Drugan Drums at the Chicago Drum Show! 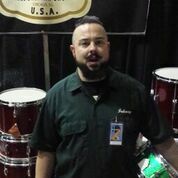 We caught up with Johnny Drugan of Drugan's Drums at the Chicago Drum Show a couple of weeks back. It was very busy in their booth and very LOUD in the hall. So loud that it drowned out Johnny's voice when we tried to shoot some video, but we managed to get an interview with Johnny about their relationship with Canopus. 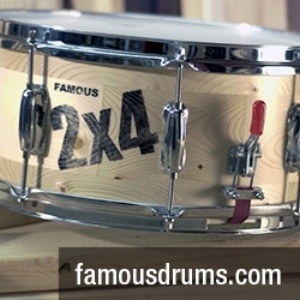 He demonstrated some of their snare drums and had nothing but nice things to say about them. A lot of the drums that end up at Drugan's pass through the Not So Modern Drummer office for review. We went to their drum shop that night and took some photos there. 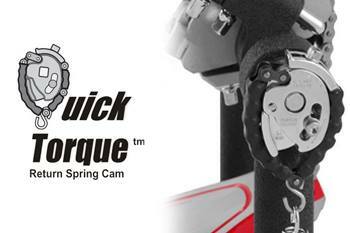 Drugan's is one of, if not THE premier Canopus dealer in the United States. "We are in the Chicago Land Area. We are primarily vintage drum dealers but we also carry the Canopus line of new drums and accessories. We carry very few new items in our store and are very selective about the new items that we do carry because we have a deep affection for, and a dedication to the drums from the golden age of jazz and rock and roll. But we made an exception with the Canopus line because we feel that their drums are really something unique. They pay homage to the tradition of drum building. They do a lot of things that incorporate vintage build qualities and aesthetics that help with producing a great vintage tone and look, but using modern technology. That really interested us and we think it's really cool that Canopus is keeping the vintage sound and look alive. Vintage drum sounds are very popular today, especially in the recording studios. We are very excited about our large Canopus display at the store. We would love to have you come by and try out all the Canopus instrument lines and accessories, like their vintage snare wires that really capture the vintage sound. 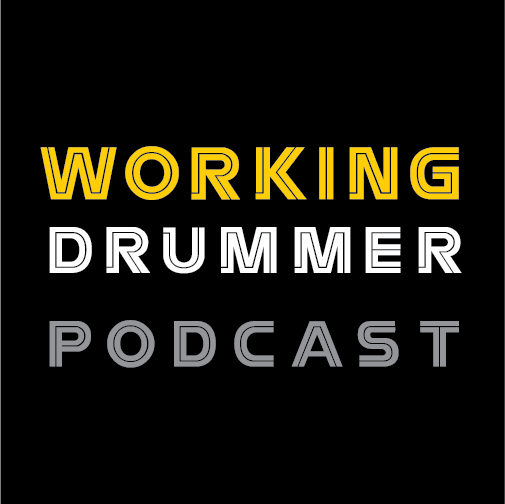 They have some ingenious products like their bearings for bass drum pedals that improve the action of your bass drum pedal." By the way, Canopus just announced that they will be at the Summer NAMM show 2016 in Nashville.